This Feminine Power Time is a big boost of gratitude and love from my heart to yours. 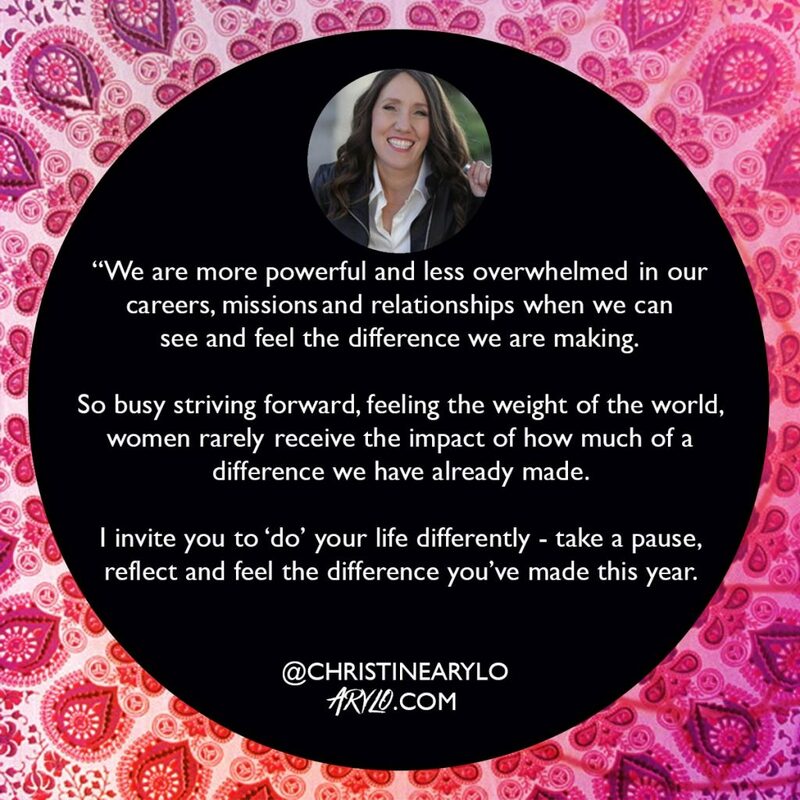 I invite you to take a pause to SEE and FEEL the impact you are making in this world. I know you ARE making a difference. But do you FEEL the difference you have made? Really? Yes, there is more to do. Many days you feel like you aren’t doing enough. 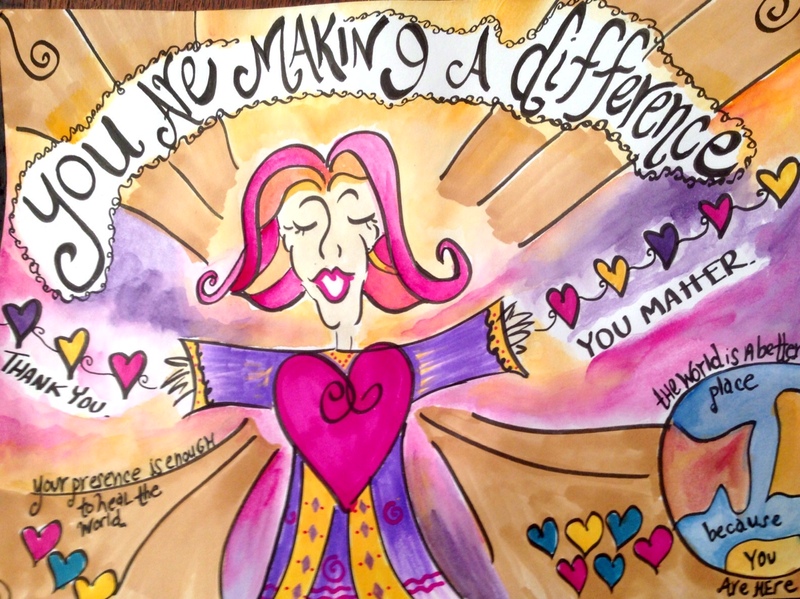 But the underlying truth is that you are making a BIG difference. You just aren’t receiving the truth of what a difference you are making. Yet, few of us every truly slow down long enough to see the impact we are making in the lives of others, the world and in our own lives. As a result, we keep pushing, striving and driving, which leads to the overwhelm and burnout we feel. I know there is a lot you could be doing and you might think you don’t have time to really receive what you’ve done. But woman to woman, I invite you to consider a different way of living, the feminine wisdom way. The antidote to overwhelm, exhuastion and self-sacrifice. 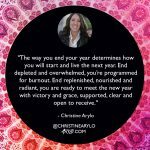 When we are rooted in our feminine wisdom, we know it’s essential to slow down to SEE and FEEL the impact we have as part of the way we complete a year. 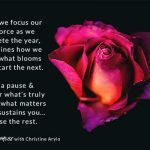 When we pause to see the impact, we regenerate and refuel our passion, love and commitment to creating a better world, without sacrificing ourselves. One of the practices that will really get this into your heart and head so you can FEEL the impact you have made is to write this in your journal. How have I made a difference in my life? How have my choices and my presence made an impact in creating a better world? Error: Error validating access token: Session has expired on Friday, 19-Apr-19 12:24:14 PDT. The current time is Thursday, 25-Apr-19 11:30:26 PDT.